No more fuss with folding plastrons & plastron pins that only cause stress at Concours. You want to be able to focus on your pony / horse and your performance and look fantastic in no time. 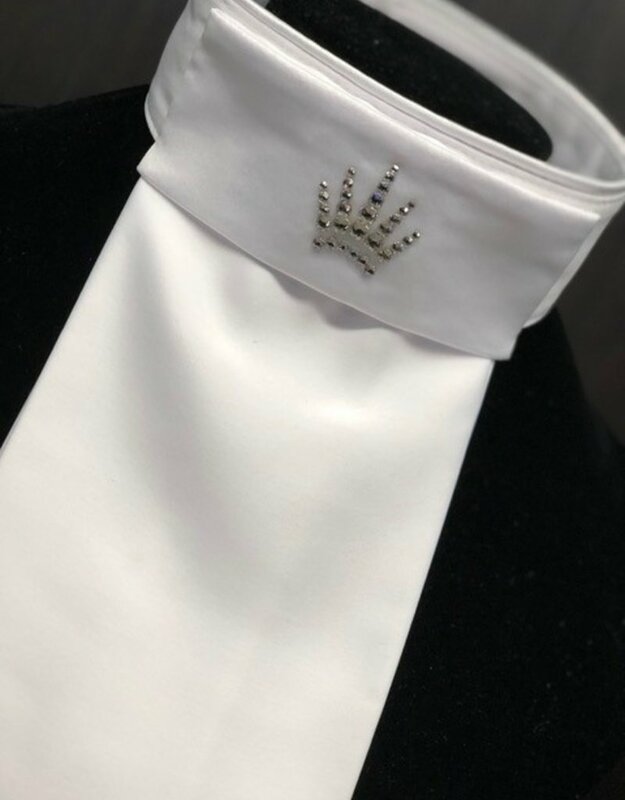 This elegant Plastron is decorated with genuine Swarovski crystals, so that a pin is no longer needed and has a wide Velcro closure making it suitable for young and old.